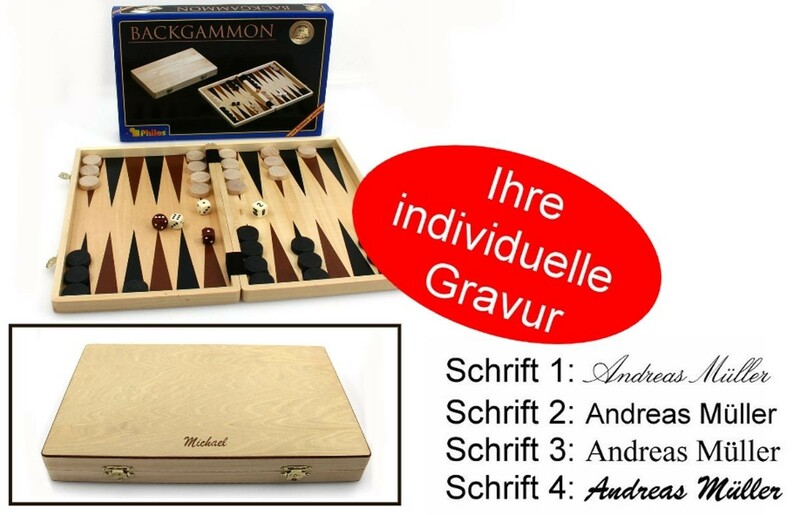 A nice idea for gifts: The engraved Backgammon game made from wood. Size approx. 33 x 21 x 4 cm (closed). Give it to your friends.